It is perhaps hard to fathom that the ways we have come to conceptualize blackness is the direct result of construction not culture. The cultivation of blacks as negative beings has nurtured the problematic conceptualizing by and for black people in America. 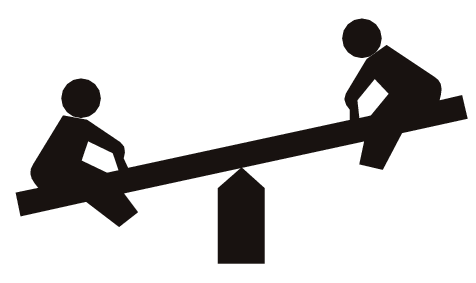 In many ways the attributes of black men and women have been constructed in a way similar to a see saw, making the ability to coexist impossible, unless existing outside the bounds of influence. The antagonizing of black men and women in the United States is no accident, but purposeful in its political subtly. As the means of constructing a nation by withstanding the demands of the Agricultural Revolution, blacks began their time in America with purpose. Often serving as the answer or binary opposite, blackness is the platform that has largely been used to conceive and understand whiteness. It is through the presence of blackness that America gained the foundation for racial identity. Both black men and women have been cast into the position as aggressors, as a means to deflect blame from the true aggressors. Black men have been cast as the “son of ham” born into a dark soul that is mirrored in their skin color. The myth of black men as aggressors has produced two results. On one side, you have the black male who feels that it is better to die, than to live on his knees. The black men, from slavery to contemporary times, were lynched for their failure to comply to the bounds of cowardice needed for white male supremacy. On the other side, the myth of black male aggression has bred the black male coward. Some black men have been seduced into a position of cowardice, often implemented as a means of survival. The black male coward is the absolute product of fear, his silence or passivity, acting as a shield from a permanent silence either by death or incarceration. Black people in the United States have a purposeful presence in the United States. thus despite the demands of their labor fulfilling their purpose as slaves during the agricultural revolution, their role as non (physical) slaves continues to substantiate re their place and treatment in society. Before I go into how society subconsciously encourages black men to be cowards, I must acknowledge that society nurtures cowardice within black women as well. The cowardice of the black woman is often veiled by her vocality. Afraid of the fullness of her features and body, black women have been conditioned to be ashamed of her own beauty. She has been conditioned to hate the sun kissed shade of her skin, to resent the texture of her own hair prompted to run from the crown of her beauty into the menacing arms of dye, perms, weaves. Afraid to love their own women, coerced into believing that their worth as a man is magnified by their silence, commitment to not wearing hoodies and white tees and have a non black woman on their arms: black men are conditioned to devalue themselves by valuing individuals and things outside of their cultural experience. In contrast, black women have been portrayed as shrews. Compensating for the often compromised black male voice, some black women feel compelled to exercise theirs as supplementary. Resulting from the fear of not being seen, black women are coerced into speaking up for herself, often at excess. Her assertion- marked as sassiness, aggression or dominance paints a her as a shrew- the apparent opposite of the coward that society conditions black men to become. Together black men and women embody binary opposites, despite being of the same origin. Straying beyond the limitations of cultural construction, imbues its own consequences. Aside from the inevitable anomaly status, those who stray from the norm assume a distance from others of their origin. This provides yet another example of how the constructs of blackness place division where there should be unity. Thus, the construction of racialized gender further the compromise of unity through implementing fear where there should be pride. Afraid of our own intelligence, beauty and potential, we intuitively fear one another, and enable others to exploit our division and fears.